Roderic Dallas was born in Mount Stanley, Queensland on 30th July, 1891. Dallas joined the Australian Army in 1913 but on the outbreak of the First World War applied for a transfer to the Royal Flying Corps. 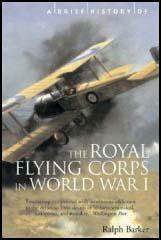 After being rejected by the RFC he joined the Royal Naval Air Service in 1915. Flying a variety of aircraft, including the Sopwith Camel, over the next three years Dallas had 32 victories. Roderic Dallas, who was second only to Captain Robert Little in Australia's table of top flying aces, was shot down and killed by the German Ace, Johannes Werner, on 1st June 1918.